WhatsApp will offer Internet-based voice calling by the end of June, CEO Jan Koum said Monday during a speech at the Mobile World Congress conference in Barcelona, according to news reports. The service is expected to be available first on Google's Android and Apple's iOS mobile systems, with rollouts coming later to other platforms such as Windows Phone and BlackBerry, said a report in The New York Times. WhatsApp is already a leading player in a crowded market of messaging apps that also includes KakaoTalk of South Korea and Viber of Cyprus. The service has a huge user base: 450 million monthly active users, according to the company. But adding free voice calls could drive that number higher if enough people decided to shun traditional phone carriers in favor of the Internet. The expansion could, in turn, bring new users to Facebook, which announced last week that it was acquiring the five-year-old company for up to US$19 billion. As it works now, WhatsApp's service lets people use their Internet data plans to send messages to each other as an alternative to paying a carrier such as AT&T or Verizon for SMS (Short Message Service) texting. It's likely that voice calling would work the same way. WhatsApp is free to download and use for the first year; after that, users can extend their subscription for $0.99 per year, according to the company's website. Facebook CEO Mark Zuckerberg sees WhatsApp as a critical element in Facebook's pursuit of connecting more people around the globe. During a keynote speech at the conference following the WhatsApp announcement, the Facebook chief said that the mobile messaging app was actually worth more than what Facebook paid for it. WhatsApp's revenue may not be in line with the price Facebook paid, Zuckerberg said. But WhatsApp may also be one of the few services on the path to having 1 billion-plus users, Zuckerberg said, and that's what makes it valuable. 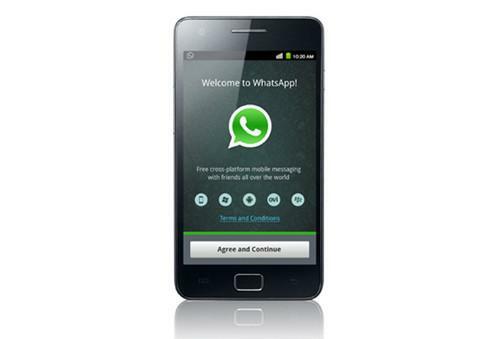 It's unclear what Facebook's plans are for further monetizing WhatsApp's service. Since the acquisition, both Zuckerberg and Koum have sought to quiet rumors they might use ads to make more money from WhatsApp. Zuckerberg instead said on Monday that Facebook could include WhatsApp as part of free or cheap Internet access in developing areas of the world, under Facebook's Internet.org project.